Two people have been arrested in Belgium on suspicion of planning attacks in Brussels on New Year’s Eve. Raids took place on December 27 and December 28 in Brussels and the provinces of Flemish Brabant and Liege. Police seized military clothing and computer equipment in the raids, but no weapons or explosives. 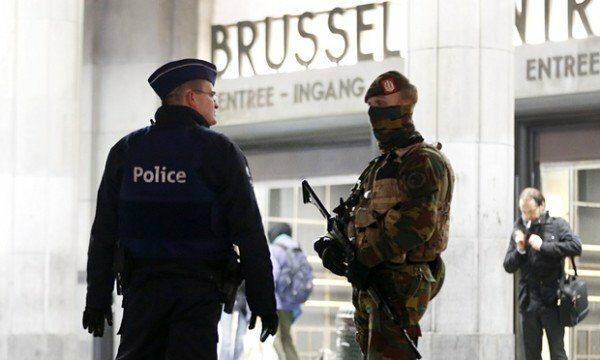 Belgium has been on high alert since the attacks of November 13 in Paris. Several of the perpetrators are thought to have been based in Belgium. However, the latest arrests are not linked to the Paris attacks, prosecutors say. One of those arrested is suspected of leading and recruiting for a terrorist cell. The suspects are accused of planning attacks against several “symbolic targets” in Brussels, as well as on the police, according to the Belgian broadcaster RTBF. Propaganda for ISIS was among the materials seized. Another four people were questioned in the raids and released without charge. In November, Brussels was placed under a four-day lockdown closing universities, schools and the metro system, amid fears of a Paris-style attack. The presumed ringleader of the Paris attacks, Abdelhamid Abaaoud, was a Belgian national who had travelled to fight in Syria. Police in Belgium and beyond have been hunting Salah Abdeslam, a French national who was born in Brussels, in connection with the attacks. His brother Brahim blew himself up during the attacks, investigators say. Belgium has struggled to contain Islamist militancy in recent years – more Belgians have gone to fight for ISIS than any other European country, per capita.